If you are an undergraduate majoring in one of our three CIS programs, talk to your faculty advisor about our 4+1 program. You could earn your undergraduate degree and MSITM in just five years. You'll save a year of time and tuition. Our graduates work at Deere & Company, HON Industries, the Rock Island Arsenal, just to name a few. We created a program for working professionals, and our expert faculty give you the support needed for a successful graduate school experience. 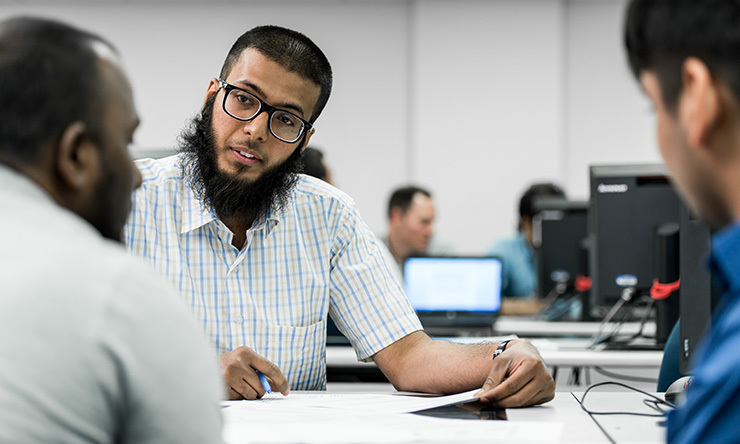 MSITM students gain a diverse toolkit in management and high-level IT skills. Our program provides an overview of management topics, such as finance, budgeting, and business operations, and teaches you how underlying information technologies can be used to support an effective enterprise. IT-specific courses dive into analysis, design, implementation and management solutions, as well as human resources. Many times our students tackle projects for their employers or choose projects applicable to their jobs as part of the coursework. In the past, such projects have included developing policies and password controls for onsite laptops, analyzing security entry into SAU classrooms, and improving the online presence of an art museum. We created this 36-credit hour program for working professionals. You can attend evening classes part-time, or if you can devote the time, enroll as a full-time student and complete the program in as little as three semesters and a summer. 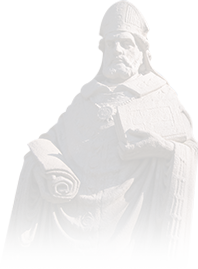 What makes the program different at St. Ambrose? Our faculty are known for providing a top education and individual attention. At SAU, our student-to-faculty ratio is 12 to 1, which means you get close faculty advising and mentoring, which can deepen your learning. Small classes allow you to get to know your fellow classmates, and they often collaborate outside of class. They share real-world situations, identify solutions, and immediately apply those to their jobs. You get constant, relevant learning. All of our programs are strengthened by our CIS Alumni Advisory Council. These 15 alumni are well-established, successful, working IT professionals and industry leaders from across the U.S., and they are invested in the university and care about our students. They give us input and feedback on our curriculum and advise us on industry trends, allowing us to give you a strong and comprehensive education. Our program is open to all students, regardless of your undergraduate major. We do require that you have some background in networking, database, and programming. Some students who enter the program from a non-computer background may be required to complete up to four undergraduate courses before graduating with a MSITM. Talk to your advisor for more information. The St. Ambrose Career Center supports you throughout the job seeking process. The center provides résumé review, practice interviews, and guidance in decisions relating to your career. You are encouraged to use the Center's wealth of career search resources. Beth Tinsman '12 MSITM, is owner of Twin State Technical Services, a company she founded in 1992. She enrolled in the MSITM program to stay current on technology and best practices, which she says helps her keep her customers' businesses running smoothly. David Pearson '10 MSITM is a Global Law Services Group Operations Manager for a Fortune 100 company. He also teaches a few computer science classes for St. Ambrose. Deciding to pursue a graduate degree is an investment: personally, professionally and financially. Our students quickly learn that an SAU education can be affordable and worth every penny. Tuition for the 2019-20 academic year is $970/credit hour, and there are some additional fees. There are many ways to finance your education. Incoming students may qualify for an MSITM fellowship. You can apply for a graduate assistantship through the SAU College of Business which covers a portion of tuition. Or, you can apply for federal student loans. Our SAU Financial Aid Office is here to help. Requirements for this program are comprised of three components: computer core, business core, and electives. The minimum required graduate credit hours is 36, but most students take 39-42 credit hours. All courses listed below are 3 credit hours. 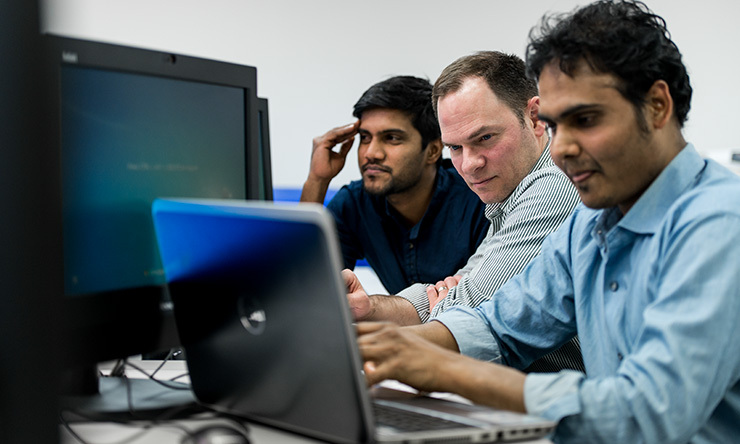 While the MSITM program is management-oriented, MSITM students are expected to be familiar with a high-level programming language (Java is preferred). Business Core: 9 credits required. Take one course from each skill area. Optional: For those seeking a career change or enhancement of experience base. MSITM 4+1 students can substitute any CSCI graduate course for any course in this section. ENGL 315 Written Business Communication. Our Cybersecurity majors have a pretty unique opportunity. Facebook's Info Security program allows SAU to teach a hands-on cybersecurity class developed by CodePath. We are one of only eight college and university science programs across the U.S. to do this. Click here to learn more. MSITM 4+1 students can substitute any 2 CSCI graduate courses for any two courses in this section. MSITM 4+1 students can take any 2 CSCI graduate courses to satisfy this section. MSITM 4+1 students can take any 3 CSCI graduate courses to satisfy this section. Take the next step toward earning your master's degree and apply to the Master of Science in Information Technology Management program. After nine years of programming for the Army, René enrolled in the MSITM program to transition to the management side of information technology. "I needed to learn the processes that non-IT businesses use to understand and motivate employees. Not only does the curriculum address all the major issues in IT management, we get meaningful, hands-on experience." Now she's taken on more responsibilities.